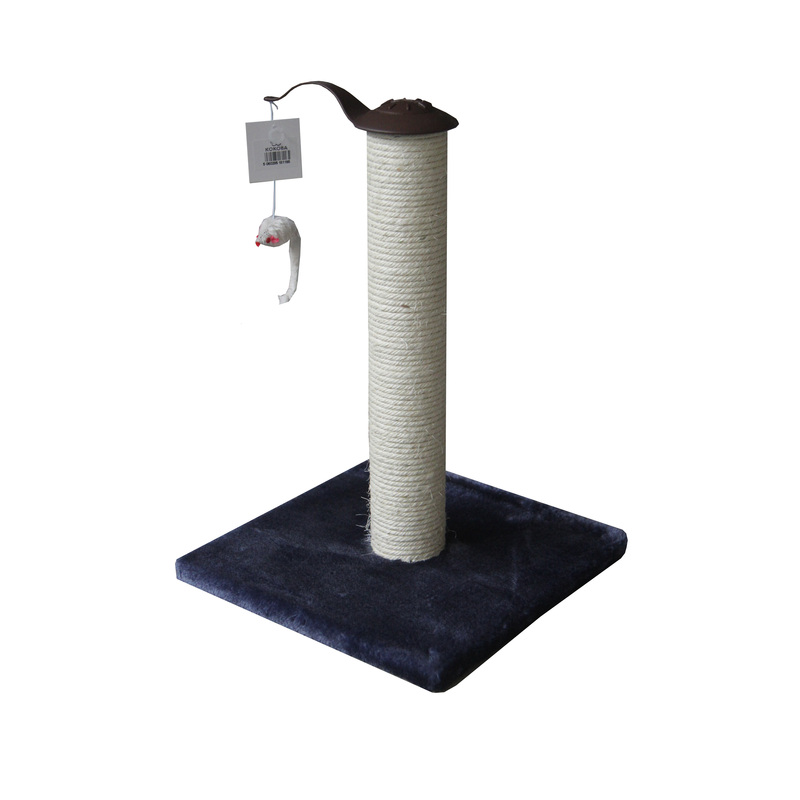 This scratch post offers the perfect place for your cat to sharpen their claws and also has a relaxing spot for afternoon snoozes. Scratching is an important part of a healthy lifestyle for cats – it helps them de-stress and removes dead cells from their claws. The durable material around this post has a similar texture to Esparto grass. Pets love the feel of this fibre, and should much prefer digging their claws into it instead of your home's furniture. This post is quite high at 42 centimetres, so they can really stretch out their muscles. This helps to keep your pet flexible. It also has a snuggly-soft base, ideal for a post-scratch snooze. has a similar texture to Esparto grass, which cats love. Every cat needs a place to scratch, and a dedicated pole will help to reduce the chances of them choosing your furniture. Choose a spot near where your furry friend often tries to dig their claws in – this is likely to be a place that they already feel safe and comfortable in. This also helps them to mark their territory, so it's important to put it somewhere that they'll want to claim as their own. The post is made from a special fibre that offers extra tension when they scratch, so they'll enjoy it more than clawing your furniture. If you notice your cat doing it more than usual, it's worth getting in touch with the vet as it could be a sign that they're feeling stressed or anxious. Cat goes straight to the scratching post, ignoring my sofa, and rolls around it as well, a great success! My cat loves the post, when scrabbling around it he appears a wild animal. The downside is, the screw attaching the post to the base, contstantly becomes loose...possibly due to my moggie’s vigorous behaviour. Both my kittens love this post. Sadly the hanging mouse did not survive long but the post itself is built to last. Cats happy with their new cat scratching post! Very good value for money, unfortunately first post arrived damaged but was replaced quickly. The cats liked it from the start, easy to assemble the only gripe is the plastic bolt, which holds the dangle toy on, it was this that arrived damaged and is flimsy. My sofa and carpets have benefitted from the cat scratching post. My cats are 18 and 13 but my older cat likes playing with the toy surprisingly. 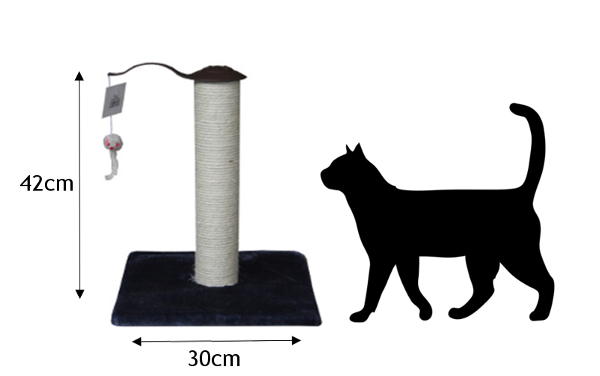 This is a basic cat scratching post. But it does what it is meant to do. My cat took to it straight away, she went and used getting rid of the dead casing on her nails. 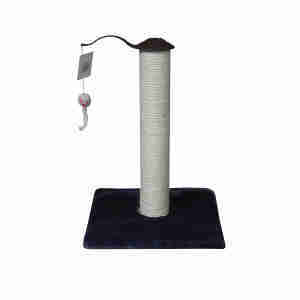 That is really what you need for a cat scratching post. She at 14 years old had a play with the toy which hangs from it.